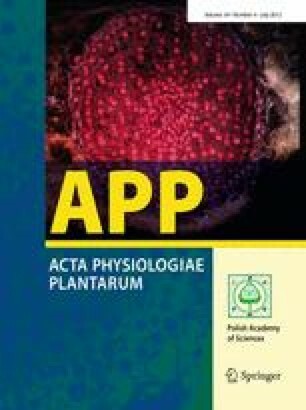 Periploca sepium adventitious roots were cultured on 0.5 Murashige and Skoog solid media supplemented with exogenous hormones of different types and various concentrations, and with sucrose of different concentrations. Auxins (indole butyric acid (IBA) and naphthalene acetic acid (NAA)) and cytokinins (6-benzylaminopurine (BA) and kinetin (KT)) were selected as exogenous hormones for adventitious root proliferation. Compared with other hormones, IBA was the suitable auxin for adventitious root proliferation. Under this circumstance, every root explant generates 10–15 adventitious roots (1- to 2-cm long) after 30 days. However, nothing but callus was induced on the root explants when NAA was added into the medium and the same result was achieved when auxins (IBA or NAA) were added into the media together with cytokinins (BA or KT). The suitable concentration of IBA for adventitious root proliferation was 1–2 mg/l, when every root explant generated 10–20 adventitious roots (1- to 2-cm long). The optimum concentration of IBA for periplocin accumulation was 1 mg/l, when the periplocin content reached 95.46 μg/g. With regard to the investigation of sucrose concentration, 2–3% (w/v) sucrose was favorable for adventitious root proliferation as every root explant in this concentration generated 10–20 adventitious roots (1- to 2-cm long). The highest periplocin content (101.56 μg/g) was achieved at 5% (w/v) sucrose, whereas the periplocin content at 5% (w/v) sucrose did not show significant difference from the periplocin content (95.38 and 98.47 μg/g, respectively) at 3% (w/v) or 4% (w/v) sucrose. This research was financially supported by the Main Project of Tianjin Science and Technology Support Program (09ZCKFSH01100).